This easy Whole30 meal prep recipe has sticky glazed shrimp with roasted cauliflower curry. The Whole30 program can change your life. It’s the reset button for your eating lifestyle. With no toast, spaghetti or pizza in your meal, you might find that your usual recipes are off-bounds. 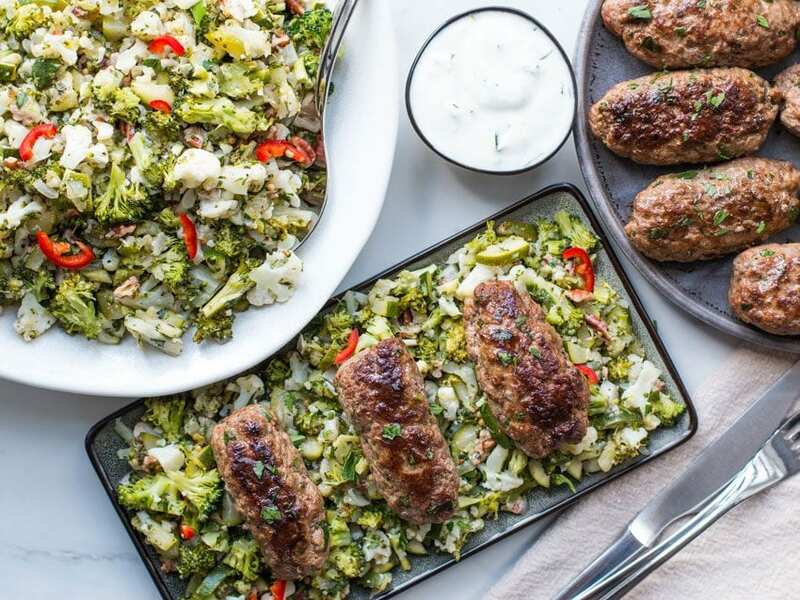 If you’re planning to start your Whole30 plan, you probably should start saving some Whole30 recipes for dinner. This glazed shrimp with Cauliflower curry recipe is one of my favorite. It not only complies with the Whole30 recipes, it’s also sinfully delicious. With the rich exotic taste, you won’t feel like you are depriving your body. 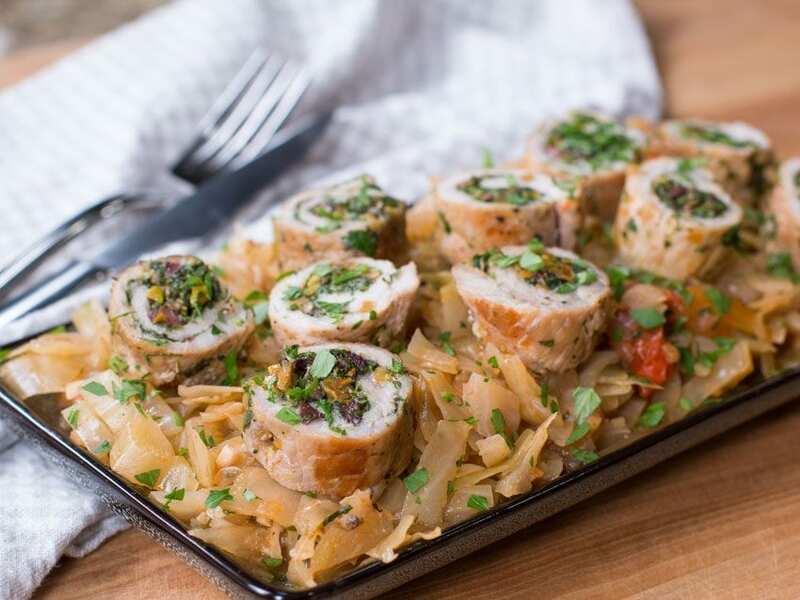 This is one of those Whole30 recipes that can easily become a family treat for special days. It’s one of ours! For more Whole30 recipes check out my Stuff Pork Chops with Cabbage and this Greek Chicken with Spaghetti. Cauliflower might not have the same vibrancy as other veggies, but it’s one versatile vegetable. I think there are so many ways to put cauliflower on your dinner table. And if you haven’t enjoyed curry before, I suggest you start with this cauliflower curry. It’s easy and quick to make. You won’t go wrong with this cauliflower curry recipe. I start off with roasting the cauliflowers separately. If you don’t already know, roasting adds a bit of crunch to our cauliflower curry. It also cancels out the bitter flavor for vegetables and creates a milder flavor, something that can earn you extra points with your kids. While my cauliflowers are roasting, I start with the curry. Keep the ingredients at hand. You don’t want to burn the spices. That will give your curry a tangy, bitter taste. With this recipe, I fried the shrimps in two batches as I didn’t want to overcrowd the pan. Cooking in batches brings out the flavor of the shrimps and gives it an even brown surface. 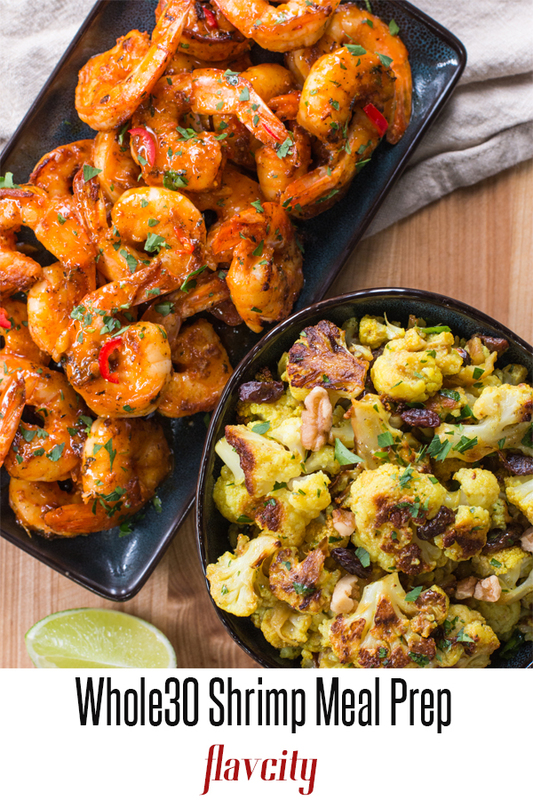 I find the silky smooth texture of the roasted cauliflower curry pairs well with my crunchy shrimps. entire family or friends. Remember that cooked shrimps in any of the healthy shrimp recipes will only last for three days in your freezer. 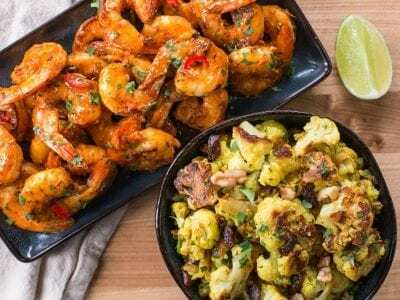 This Whole30 meal prep has sour orange glazed shrimp served with oven roasted cauliflower tossed with a coconut curry sauce, crunchy walnuts, and sweet raisins. 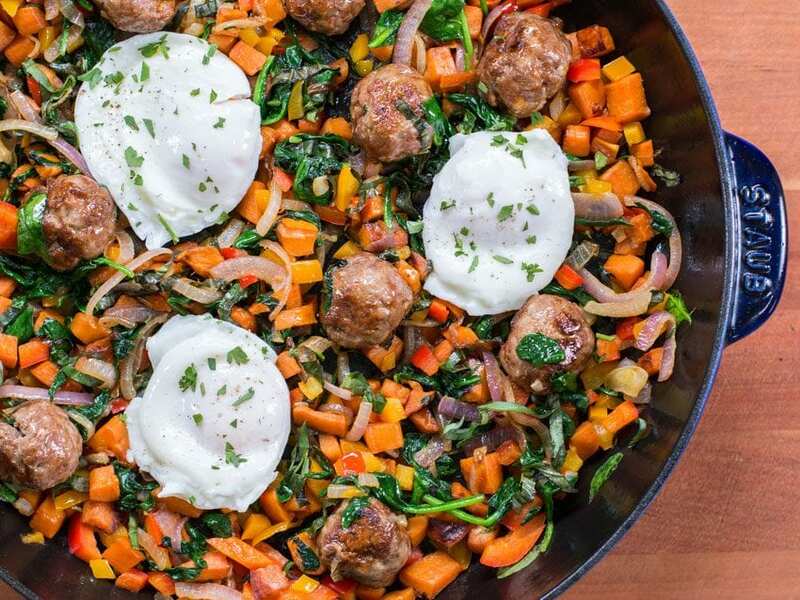 The entire meal is Whole30 compliant and full of flavor. Whole30 diet clean eating done right! Cook’s note: Cooked shrimp will only last in the fridge for 3 days, so if you want this meal to last 5 days you can freeze some of the raw shrimp until ready to use(make sure to thaw), or make 1 pound of shrimp then buy more when needed. Pre-heat oven to 450 F and chop the cauliflower into large bite size florets, discard the stems. Place the cauliflower on a sheet tray and drizzle over 1 tablespoon of avocado oil, ¾ teaspoon salt, a few cracks of pepper, and the thyme(use ½ teaspoon if using dried thyme). Toss to combine and roast in the oven for 30-35 minutes, until well browned on all sides. While the cauliflower is roasting, make the curry sauce by pre-heating a medium size pan over medium heat for 2 minutes. Add 2 teaspoons of oil to the pan along with the onions, ¼ teaspoon salt, a couple cracks pepper, and mix well. Cook for 8 minutes then add the ginger, chlies, and garlic. Cook for 3 minutes then add the curry powder and turmeric, mix well and cook for 1 minute, stirring often. Add the coconut milk, chicken stock, ¼ teaspoon of salt and bring to a boil then reduce to a simmer. Let simmer for 12 minutes, or until reduced by half and has a saucy consistency. Turn off the heat, add the lime juice and check for seasoning, you may need more lime juice. Stir in one tablespoon of coconut cream and then strain the sauce into a bowl so it’s silky and smooth. Once the cauliflower is ready, place it in a medium size bowl and pour over just enough curry sauce to thoroughly coat. Add the raisins, walnuts, parsley, and the zest of half a lime. Toss well and check for seasoning. To make the glaze for the shrimp pre-heat a small pot over medium heat for 2 minutes. Add 1 teaspoon of oil to the pan along the garlic and thyme, cook for 1 minute then add the orange juice and bring to a simmer. Cook for 10 minutes, or until the liquid has reduced by about half. Stir 1 teaspoon of tapioca starch together with 2 teaspoons of water and add that to the pan, stir well and cook another 2 minutes until the glaze has thickened up and is pourable. Remove from heat. For the shrimp, use paper towels to pat the shrimp as dry as possible. Season half(1 pound) of the shrimp with ¾ teaspoon salt, smoked paprika, cumin, cayenne, and a tiny shot of oil, mix well. Pre-heat a large non-stick pan just under high heat for 2 minutes then add 2 teaspoons of oil and wait 30 seconds. Add the shrimp to the pan and cook for 2 minutes, flip the shrimp and cook for 30 seconds then reduce the heat to low and pour half the glaze in the pan, toss the shrimp in the glaze and cook for 30 seconds, remove from heat. Shrimp will overcook very easily, so work fast. Wipe the leftover glaze out of the pan with paper towels and repeat the process with the second batch of shrimp. Serve the shrimp with the cauliflower and enjoy! Cooked shrimp will only last in the fridge for 3 days, so either freeze some or cook another batch later in the week. To reheat, thaw shrimp first and then warm in a 400 F oven for 6-8 minutes or toss in a hot pan for 1 minute. Cauliflower will last in the fridge for 5 days but can’t be frozen. Re-heat in a 400 F oven for 10 minutes. If using the microwave cover open container with a wet paper towel and make sure not to overheat, or the food will dry out. I watched this video, mouth watering and heart pumping. Yay this looks awesome!!! UNTIL you dropped the bomb at the end and said no sauce for the keto folks. I almost shed a tear!! Lol. I will have to find a way to work around that. Looks too good to pass up!! Love you guys and can I get some keto jerk chicken please? ha, you just cracked me up Deanna! Glazes are very tough on keto, but I should figure out a few recipes! I am thinking keto jerk or keto bbq chicken with white bbq sauce and keto beans. We are on Keto so I couldnt make the sauce with Orange Juice but i did use the left over seasoning for the curry sauce with a little bit of curry sauce and it was the bomb! My husband doesnt like cauliflower but loved the way I cooked it (YOU RECIPE). The dinner was GREAT, Loved the recipe! That’s what I love to hear! So glad you all loved it! Keep on cookin’!